In mathematics, a limit suggests that you’re approaching some value. 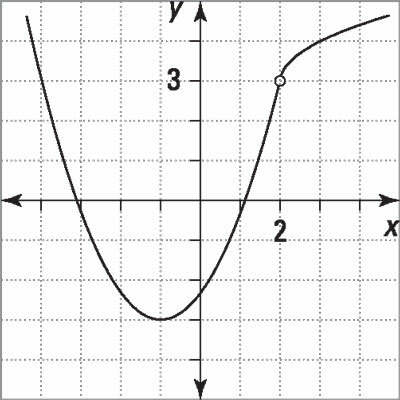 Some functions, such as a rational function with a horizontal asymptote, have a limit as the x values move toward positive or negative infinity — that is, as the value of x gets very small or very large. Limits are another way of describing the characteristics of particular functions. Although limits are often demonstrated graphically (a picture is worth a thousand words? ), you can describe limits more precisely using algebra. Coupled with limits is the concept of continuity — whether a function is defined for all real numbers or not. The function has a hole at (2, 3). The limit as x approaches 2 from the left is 3, and the limit as x approaches 2 from the right is 3. The y values are getting closer and closer to ‒9 as x approaches ‒2 from the left and from the right.